A century ago today, David Lloyd George, the new Prime Minister, held the first meeting of his War Cabinet. In the process he introduced an innovatory practice, and instigated an important institution at the heart of British government. A hundred years ago, at 11.30am on 9 December 1916, a meeting of the War Cabinet took place in the War Office. The newly-installed Prime Minister, David Lloyd George, was present, along with Andrew Bonar Law, Lord Milner, Arthur Henderson and Lord Curzon. Also in attendance, though not members of the War Cabinet, were Edward Carson (First Lord of the Admiralty); Lord Hardinge (Permanent Secretary to the Foreign Office); Admiral Jellicoe (First Sea Lord); and General Robertson (Chief of the Imperial Defence Staff). The occasion was important for a number of reasons. In the midst of the Great War, various pressing military matters required consideration. The approach to take to Greece was high on the agenda of the day. But beyond the substance of the meeting, it was an important event in its own right. The War Cabinet itself was an innovation. Part of the attraction of Lloyd George as a potential Prime Minister had been that he was perceived as offering a contrast to his immediate predecessor at No10, Herbert Asquith. Critics of Asquith regarded his leadership style as aimless and indecisive at a time of unprecedented military crisis. Lloyd George became Prime Minister partly on the basis that he offered a more vigorous, effective approach. Part of his programme was to reorganise the government machine at this perilous moment, in a way that was intended to maximise the chances of victory. The full Cabinet had come to be regarded as a bloated and cumbersome body, especially following the creation of new departments intended to meet the requirements of the war, bringing with them more ministers for inclusion in Cabinet. Lloyd George therefore created a smaller War Cabinet, with five members including himself. All but one of the permanent participants was a non-departmental minister. The idea was that they would be able to concentrate on overall strategy and avoid distraction by the day-to-day business of a specific Whitehall brief. The creation of a War Cabinet was a momentous event in the history of British government. It entailed excluding ministers from the ultimate decision-making body within the executive who would normally, as members of the regular Cabinet, be part of its processes. This change was coupled with another significant development. At the bottom of the list of attendees at the 9 December War Cabinet meeting are two names: Lieutenant-Colonel Sir M.P.A Hankey, described as the ‘Secretary’; and Lieutenant-Colonel W. Dally Jones, the ‘Assistant Secretary’. It was they who produced the record we have of this meeting, the first of its kind. The presence of secretaries and the role they performed make the first Lloyd George War Cabinet all the more abrupt as a moment of transition for the British constitution. The Cabinet has long been regarded as a defining feature of our system of government. It is the forum in which the most senior parliamentarians, drawn from the political party or parties that command the confidence of the House of Commons, come together to deliberate over the important issues of the day. Collectively they reach conclusions by which they are all bound, whether taken in full Cabinet or one of its sub-committees. But for all its importance, it is impossible to identify a precise historical point at which Cabinet came into being: it appeared over a protracted period from the late seventeenth century. Moreover, the exact principles governing its operation have always been difficult precisely to discern, though they have become more codified in recent times. The rise of the Cabinet was accompanied by another gradual and vague development: the appearance of the office of Prime Minister. The Prime Minister became established as the chair of the Cabinet, replacing the monarch as in effect the head of the government. The Prime Minister acquired the ability to determine who was within Cabinet (and who was not) and how departmental portfolios were allocated. By December 1916, when Lloyd George became Prime Minister, there was no doubt about the preeminence of Cabinet within UK government; or that the Prime Minister was the central figure within Cabinet. However, the whole system rested on understandings – no Act of Parliament defined the institutions of Cabinet and Prime Minister. Moreover, Cabinet operated in a remarkably informal way. Despite the importance of the decisions it took, there was no systematic method of recording Cabinet discussions and conclusions. 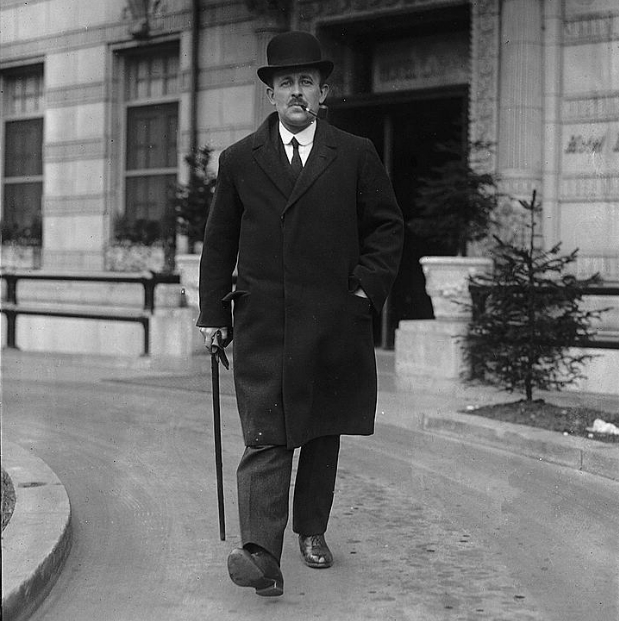 Before December 1916, the closest equivalent to a regular formal account was the letter that the Prime Minister wrote to the monarch after Cabinet meetings, describing what had taken place. Critics regarded this way of operating as amateurish and a recipe for confusion and misunderstandings. How could members of the Cabinet have a shared understanding of what they had agreed if it were not written down? How could the departments know what action they were required to take? The Great War intensified the difficulties of the old system, through both raising the stakes of failure and increasing the pressure of work upon government. Consequently, Lloyd George decided to introduce minuted Cabinet meetings. In doing so he adapted a practice previously employed for the Committee of Imperial Defence (CID), first formed in December 1902. Sir Maurice Hankey (1877-1963), the first Secretary of the War Cabinet, had performed a similar function at the CID. Though he would become one of the most influential figures in British Civil Service history, he came from a military background, in the navy. The significance of Hankey and his team was twofold. They were the first group of officials regularly attending meetings of Cabinet (or, as it was at this point, the War Cabinet), producing a written account of proceedings. Furthermore, they became a nucleus for an institution that would become critical to the operation of Whitehall in war and peace alike: the Cabinet Office. To record the proceedings of the War Cabinet. To transmit the decisions of the War Cabinet to those Departments that are concerned with giving effect to them or otherwise interested. To prepare the agenda papers; to arrange for the attendance of ministers and other persons concerned; and to procure and circulate the documents required for discussion. After the war ended, the future of the Cabinet Office seemed for a time in doubt, and there was a possibility of its being absorbed into the Treasury. However, it proved resilient. Now based in premises on the other side of Whitehall from the old Whitehall Gardens building, successors to Hankey as Cabinet Secretary have continued to minute Cabinet meetings. They have created an unbroken record leading up to the present day, including some of the most important historic decisions taken by British government. Though it has accumulated other functions over time, the tasks described above remain core to the work of the Cabinet Office. Unlike the Cabinet itself and the office of Prime Minister, we can trace its existence and its innovatory practices to a specific day – 9 December 1916. Andrew Blick and George Jones, Premiership: the development, nature and power of the office of the British Prime Minister (Imprint Academic, Exeter, 2010); At Power’s Elbow: Aides to the Prime Minister from Robert Walpole to David Cameron (Biteback, London, 2013). Peter Hennessy, Cabinet (Wiley-Blackwell, Oxford, 1986); Whitehall (Pimlico, London, 2001). John Mackintosh, The British Cabinet (Heinemann, London, 1981). Anthony Seldon and Jonathan Meakin, The Cabinet Office, 1916-2016: The Birth of Modern Government (Biteback, London, 2016). The National Archives, CAB 23/1. The War Cabinet: Report for the Year 1917 (His Majesty’s Stationery Office, London, 1918), Cd 9005, p.3.